The FPÖ is successfully tilling the field for a radical right turn of Austria, and it seems unlikely that the party will be manipulated into moderation again by the conservative ÖVP. Sebastian Kurz, Federal Chancellor of Austria holds presidency of the European Council at Brussels Summit, Belgium on December 14, 2018. NurPhoto/Press Association. All rights reserved. One year has passed since Austrians, for the second time this century, witnessed the inauguration of ministers from the populist radical right Freedom Party (FPÖ). What are the differences to the first government stint of the FPÖ, how did the party fare in its first year, and what can their time in office teach us about the radical right in government? Compared to the first stint in government at the beginning of the century, the most glaring difference is the absence of international outrage at their second run. In 2000, the EU member states announced the imposition of several measures to isolate Austria as a consequence of the radical right in government. In 2017, there was no dissenting voice to be heard from the EU, even though the FPÖ today is arguably more radical than it was in 2000. The most glaring difference is the absence of international outrage at their second run. Another difference is the concentrated amount of power that the FPÖ was able to access in 2017: at the end of the coalition negotiations with Christian Democratic Austrian People’s Party (ÖVP), the FPÖ received full ministerial control over all armed personnel of the republic, as well as the intelligence agencies. The radical right party got the ministry of interior (police and domestic intelligence agency), the ministry of defence (armed forces and military intelligence agencies), and by proxy the ministry of foreign affairs (the minister is ‘independent’ but was nominated by the FPÖ), adding up to an unprecedented accumulation of power for the junior coalition partner. The fact that the party sent ideologically hardened party cadres into the ministries is the third key difference to the first coalition of the FPÖ. In 2000, party chair Jörg Haider preferred sending low-profile career politicians into the government. This time around, however, Burschenschaften (political fraternities that are at the very right fringe of the Austrian political landscape) are the personnel pool for the party. Burschenschaften (political fraternities that are at the very right fringe of the Austrian political landscape) are the personnel pool for the party. The FPÖ repeatedly tried to push the boundaries of what is politically acceptable since coming to power in 2017. The most damaging effort was the raid of Austria’s domestic intelligence agency (Bundesamt für Verfassungsschutz und Terrorismusbekämpfung, BVT) in February 2018. The BVT is Austria’s most important intelligence agency, tasked with the protection of the Austrian constitution, its institutions and their ability to act. This includes the surveillance of extremist groups and individuals, as well as responsibility for domestic counter-terrorism measures. The raid has since become the topic of a parliamentary investigation, in which it became clear that the reasons for it were largely fabricated by the instigating FPÖ individuals and the prosecution, and that they do not hold up to closer scrutiny. Furthermore, it was revealed that the office of the agent responsible for investigating the Austrian extreme right scene was searched (she was not one of the suspects, but listed as a potential witness). The parliamentary inquiry also revealed attempts by the FPÖ to gather detailed information on covert operatives in the Burschenschaften through the official channels from the ministry of interior to the BVT. Unrelated, but nevertheless damning, was the outing of a security guard working at the parliamentary investigation as an active member of Austria’s neo-Nazi scene. The second area where the FPÖ is operating without many restraints by the ÖVP is the public discourse on migration. The Austrian government rejected the UN migration pact, which was a key demand of the FPÖ. Furthermore, the government, under leadership of the FPÖ, is trying to cut financial aid to refugees and migrants. The most extreme case was a refugee home for adolescents in Lower Austria that was equipped with barbed wire fence and where residents were not allowed to leave the premises without being accompanied by a security guard. The more or less free reign of the FPÖ in all these areas has caused speculation about a trade-off between FPÖ and ÖVP: the former gets to push their anti-immigration agenda, and the latter will not be opposed by the FPÖ in their attempts to weaken the Austrian social partnership and to hollow out workers’ rights. Finally, the FPÖ is also actively trying to limit and control the flow of information to media they deem too critical. This became public when an official communique by the Ministry of Interior to regional police directorates was leaked to several media outlets. In it, the Ministry outlined which media is categorized as ‘critical’ and instructs police to limit the flow of information to these newspapers to the ‘absolute (legally defined) minimum’. The Ministry [ of Interior] outlined which media is categorized as ‘critical’ and instructs police to limit the flow of information to these newspapers to the ‘absolute (legally defined) minimum’. 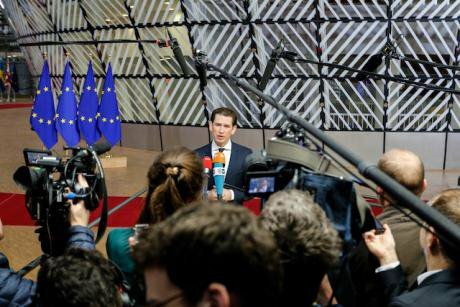 The leaked letter caused huge uproar in Austria, and Chancellor Sebastian Kurz was forced to give a statement confirming the importance of press freedom whilst at the UN in New York. The Ministry was quick in trying to downplay the significance of the letter as the standpoint of one individual, claiming that it had not being signed off by the minister. One year after the inauguration of the FPÖ coalition in Austria, what are the most important points to take away regarding our understanding of the radical right? The first one is that conviction matters. The FPÖ has shown that, in stark contrast to their last stint in government, ideological steadfastness of its personnel in government leads to more consistent output. In the beginning of the century, the FPÖ was worn down by the ÖVP due to the political and ideological inexperience of the majority of its ministers. This time, the bulk of the actors the FPÖ sent into the government is made up of hardened Burschenschafter, or otherwise ideologically resolute members of the party. Coherence of action by the FPÖ in the past year also prevented their implosion and allowed the party to operate by its ideological guidelines. This leads to the observation that when the radical right has a sufficiently ideologically committed personnel pool, the taming effect of governmental responsibilities appears to be more limited. This is not necessarily visible through actual policy change yet, where the FPÖ is still limited by the constitution and civil society. However, they do succeed in changing public discourse and political activism, which might well lead to a collapse of institutional and public resistance in the longer term. The FPÖ is successfully tilling the field for a radical right turn of Austria, and it seems unlikely that the party will be manipulated into moderation again by the conservative ÖVP.